Baptisms are performed during our regularly scheduled mass times on the first Saturday of the month at the 5:00pm liturgy or on the third Sunday of the month at the 12:30pm liturgy. On all other weekends, baptisms are scheduled following the Saturday 5:00pm liturgy or after the 12:30pm liturgy on Sunday. Call the parish office two weeks in advance to schedule, (402)289-4289 x 0. 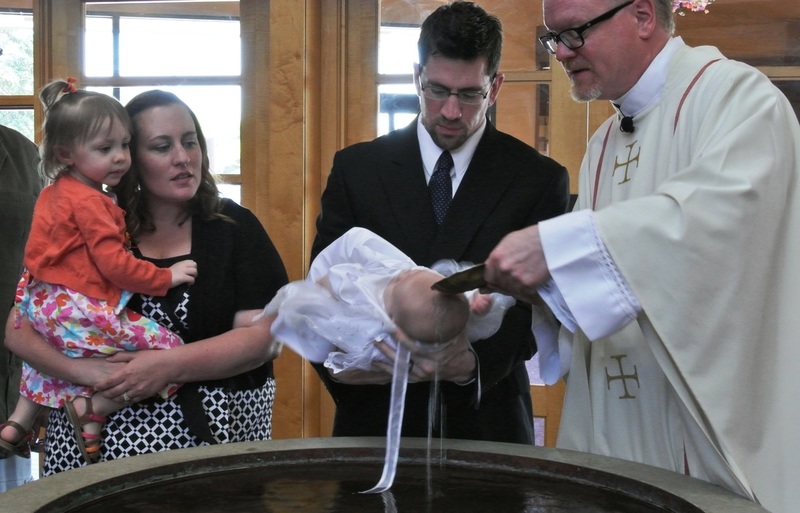 If this is your first child being baptized, you will need to go through the Baptism Preparation Class. Please contact the Parish Office for more information and to register for preparation class at (402)289-4289.